Only 273 in stock. Additional quantities will deliver at a later date. 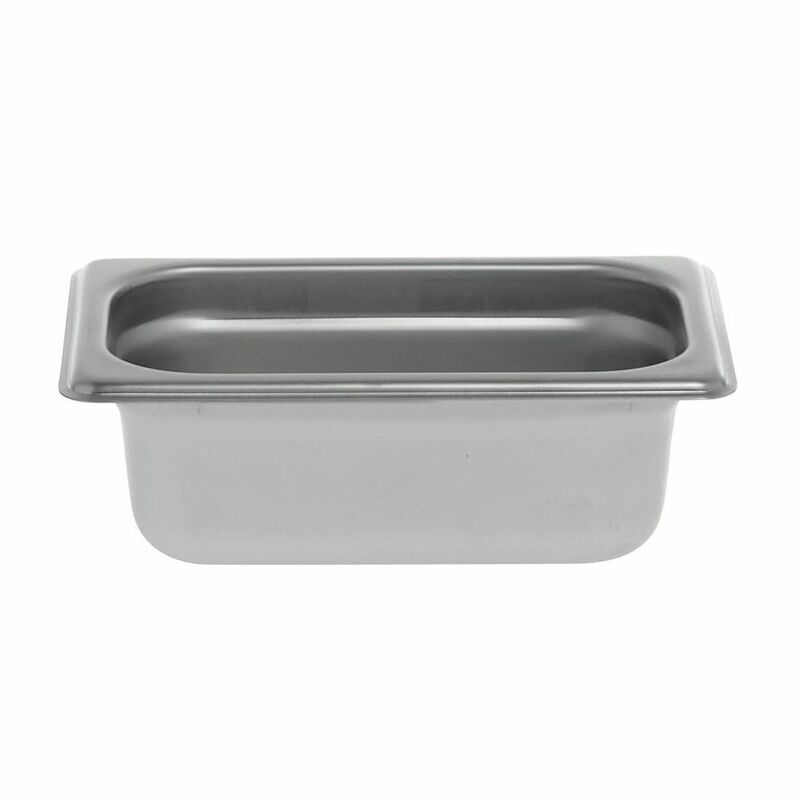 This 24-gauge steam table pan is a great economical choice for your food service establishment. It still features the same tough 18/8 stainless steel composition and comes with a 100% satisfaction guarantee. 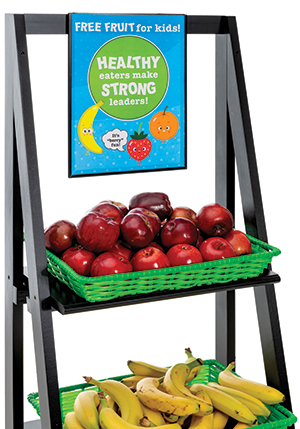 Plus, the steam table pan has durable anti-jam corners that will allow stacking with easy separation for quick use. It can be used for hot and cold application in your buffet or catering operation. The steam table pan is NSF certified. This solid lid keeps food covered in your buffet to prevent contamination and maintain temperature. Its special 24-gauge stainless steel assembly is an economical alternative to standard 22-gauge lids and comes with a satisfaction guarantee. 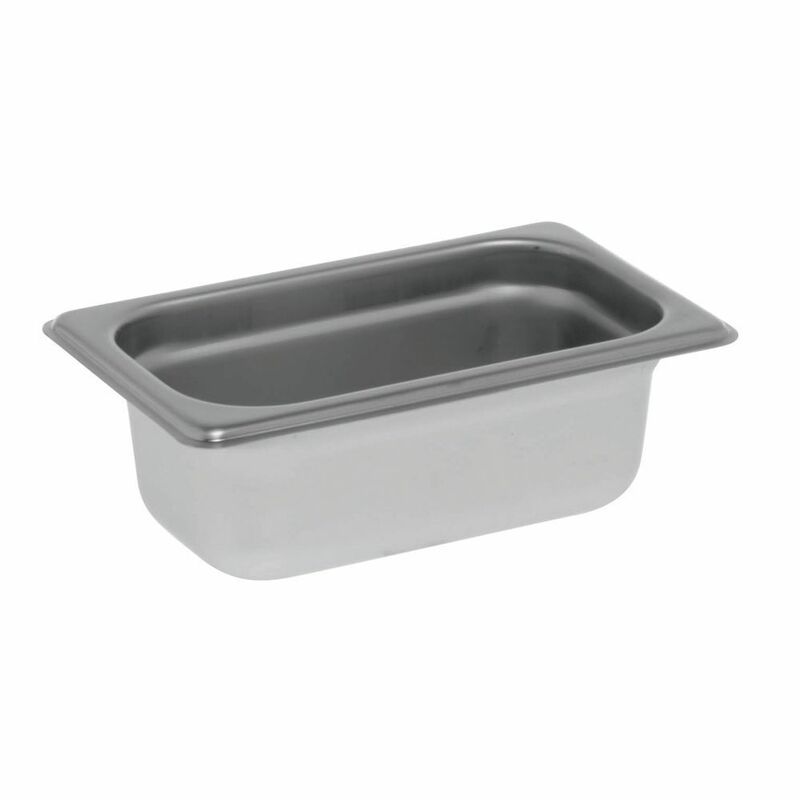 This solid lid is made to fit a ninth size steam table pan.